While in port in Ålesund, see the entire Norwegian city all at once on this convenient City Sightseeing hop-on hop-off tour. 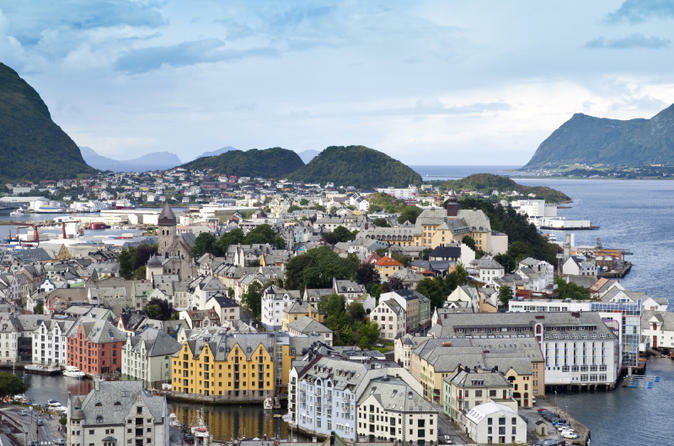 Visit the Sunnmøre Museum, the Art Nouveau Center, Ålesund Church and more while learning about the sights from the onboard commentary, available in multiple languages. Enjoy stunning views of the surrounding ocean, fjords and the Sunnmøre Alps from Fjellstua, and hop off at any of the 10 stops around the city to sightsee on your own by foot. Because your ticket is valid for 24 hours from the time of first use, you have time to explore this breathtaking seaside city at your own pace. 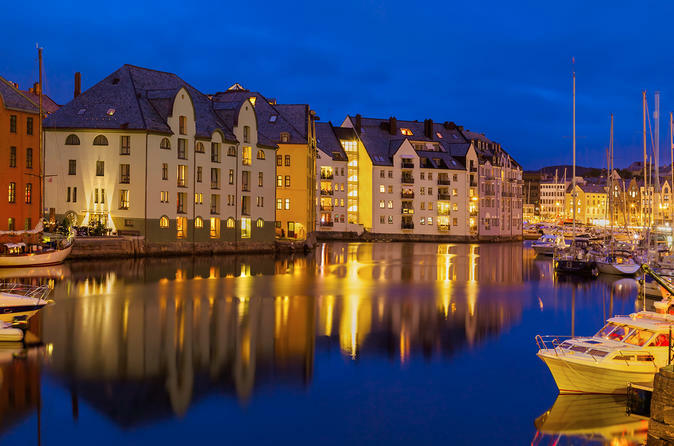 Experience the best of Art Nouveau architecture in Ålesund, a city built on only islands. In the city center you will find hundreds of buildings, built in this fascinating architecture. During this three hour city walk you will also visit the Jugendstil Senter (the Art Nouveau Museum). Here you can enter a time capsule and travel back to the year 1904, the year of the town fire. Learn all about the rebuilding of the town, as well as the Art Nouveau style which is well represented in several exhibitions. 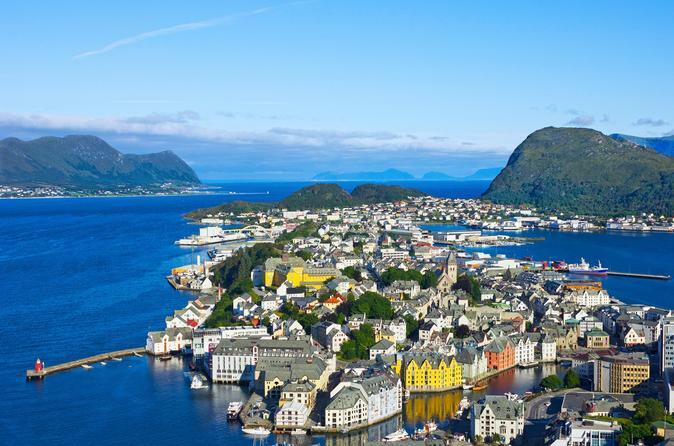 A fabulous all-round introduction to colourful Alesund! See the Art Nouveau architecture of the city centre, venture up to the best viewpoint in the city and soak up the atmosphere in the open air museum. 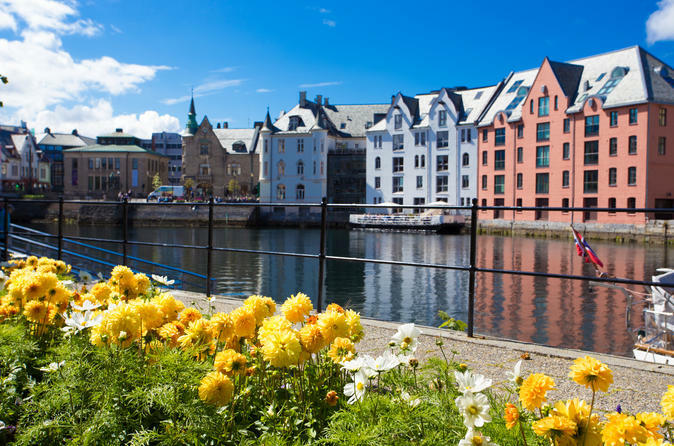 Don’t miss out on this perfect opportunity to learn all about the beautiful city of Ålesund; the excursion to the Sunnmøre Museum combined with sightseeing. A visit to the picturesque open air part of the museum will teach you all about how life was in this part of the country a few centuries ago. Enter the boathouses for another fascinating exhibition. From the museum you will go Mount Aksla and enjoy the stunning view over the city, followed by a tour through the center of this spectacular Art Nouveau city. A full day of amazing and breathtakingly beautiful sceneries is guaranteed. You will depart from Ålesund by bus and soon travel along the magnificent Storfjord. Enjoy the green fields in Valldal where the most delicious strawberries grow. Walk over the bridge at Gudbrandsjuvet, a beautiful gorge where the clearest water falls down 20-25 meters into a ravine. 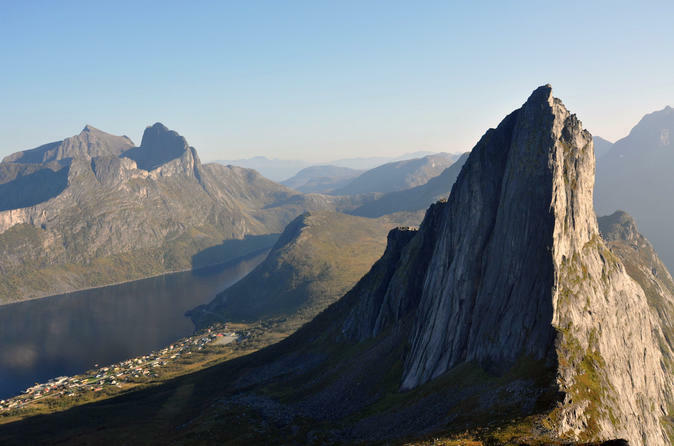 Experience the adventurous Troll Road (Trollstigen) and enjoy the amazing view over the valley of Istradal from the top. Last but definitely not least, a visit to the impressive Troll Wall (Trollveggen).